The Ontario PCs have to make a choice between two generally well-liked but still largely unknown candidates in Christine Elliott and Caroline Mulroney and one who is neither of those things in Doug Ford. The resignation of Patrick Brown as Ontario Progressive Conservative leader and the campaign to replace him have shaken up politics in the province with just four months to go before the next election. 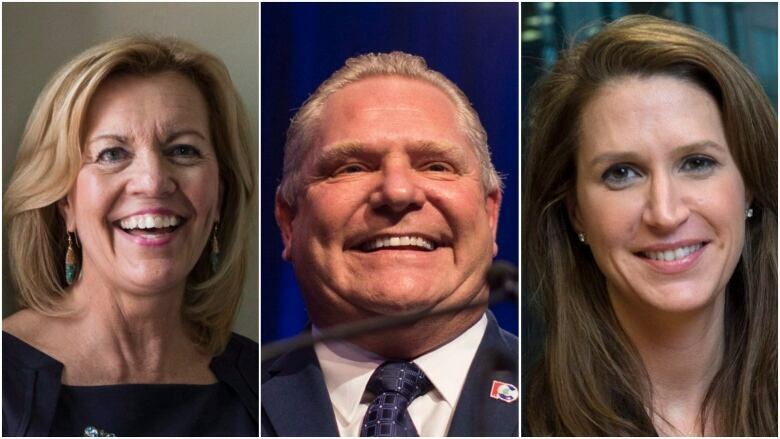 Three contestants have already declared their intention to run for the leadership: Caroline Mulroney, former PC MPP Christine Elliott (who is mounting her third bid for the party leadership) and former Toronto city councillor and mayoral candidate Doug Ford. The political landscape in Ontario is competitive, but a series of polls conducted since Brown's exit suggest the election remains the PCs' to lose — and that one of the leadership candidates in the running could make that outcome more likely. The winner of the PC leadership race will be announced on March 10. That person will have little time to prepare for the election campaign, which will kick off at the beginning of May. That means prospective voters in Ontario won't have long to form their views of the PC candidate vying to lead the country's most populous province. Polling by the Innovative Research Group awards the PCs a narrow four-point lead over Kathleen Wynne's Liberals among decided voters, at 36 to 32 per cent. Léger puts the gap at just three points, 36 to 33 per cent, though with many PC supporters undecided. Nevertheless, the PCs hold some significant advantages. Holding a lead of three or four points despite the tumult happening within the party — and without a permanent leader at the helm — is a good sign. And Wynne's unpopularity has not been impacted by the PCs' turmoil. Innovative found that just 22 per cent of respondents have a favourable opinion of the premier, while only 23 per cent of respondents to the Léger poll said they were satisfied with her government. The three contestants for the PC leadership boast similar favourability numbers — though in the case of Elliott and Mulroney that is largely because a significant portion of Ontarians don't know much about them. 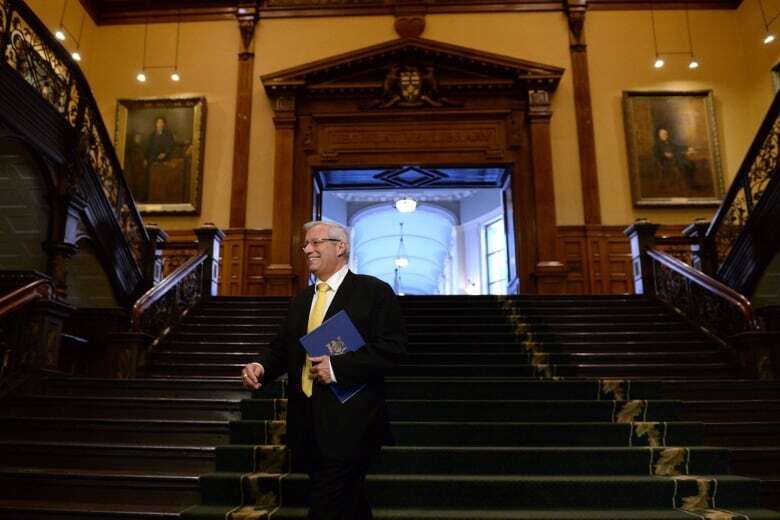 The Innovative survey found that 31 per cent of Ontarians hold a favourable opinion of Elliott, followed by 22 per cent for Mulroney and 19 per cent for Ford. Only 12 per cent of Ontarians said they had an unfavourable view of Mulroney, and just five per cent had an unfavourable view of Elliott. About two-thirds of respondents, however, had neither favourable nor unfavourable views or didn't have an opinion. That suggests that Elliott and Mulroney start these campaigns with some positive baselines, but that a large number of people have yet to form opinions — opinions which could prove to be positive or negative. That isn't a promise of success for the Tories, but it remains an opportunity. The same polls show that Ford turns off a lot of voters. Fully 45 per cent of respondents said they had an unfavourable opinion of Ford, more than double those who had a favourable view of him. An Ontario PC Party led by Ford will have a big favourability deficit to overcome. The polls suggest that Elliott and — to a lesser extent — Mulroney have the potential to increase the party's lead over the Liberals. Innovative found that advantage widened by two points under Elliott, while Léger indicated that she would boost the party's support by four points. Another poll by the Angus Reid Institute suggested that Elliott would make 21 per cent of Ontarians more likely to vote for the PCs, compared to 12 per cent who said it would make them less likely to vote for the party. By comparison, Mulroney drew about as many voters to the party as she pushed away (21 to 20 per cent), according to the Angus Reid Institute. The same poll suggested Ford made the party more attractive to 19 per cent of respondents, but 49 per cent said his leadership would make them less likely to cast a ballot for the PCs. Mulroney's impact on the party's potential support in a provincial election was mixed. Innovative found she would decrease the PC margin by three points, while Léger found her leadership had no impact on the PCs' level of support. A survey by Mainstreet Research found that she would do seven points better than Ford, but did not test Elliott's potential appeal. Ford decreased the PCs' margin by three points in the Innovative poll and dropped PC support by four points in the Léger survey. Mainstreet found that, unlike under Mulroney, a Ford-led PC Party would lose Toronto. Altogether, the numbers suggest that Elliott has the most upside for the PCs while Mulroney is not known enough yet to have either a positive or negative impact on the PCs' electoral chances. Both have some profile yet to build, despite Elliott's political experience and Mulroney's political name. Ford may be popular in some parts of the province and in some wings of the party, but he is a known quantity and the polls suggest he's a significant drag on the PCs among the general population. Of course, the race has just begun. Though the next election is four short months away, that is plenty of time for Elliott to squander the goodwill she currently enjoys and for Mulroney to fail to live up to the hype surrounding her candidacy. And despite his unpopularity, Ford could prove to have the right message at the right time. But unlike with Elliott and Mulroney, most voters have already made up their minds about Ford and will be hard to budge. Party members will have to decide whether that is a problem or not.